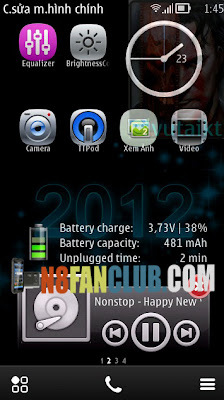 Battery info is a great add-on application for symbian ^ 3 Anna And Nokia Belle. The program will help manage the situation,The battery of the phone you better. You can add a widget to the home screen to see the battery.